The ability to see and manage your storage space. With this update, you will find it easy to find how much space your content takes up and better manage your content. You can also control your install lineup and more easily manage your download queue. We’ve separated My Games and My Apps into separate lists, so you can easily create separate queues for both. Now you can pick the order in which you want your content to load and we’ve added a boot progress indicator so you can better track updates while they load. The battery power indicator is back! You can see it right on the home screen, so you can easily track how much battery life is left on your controller. 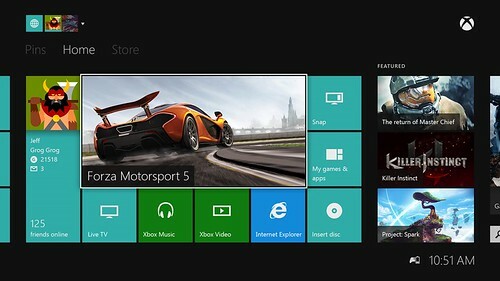 And, you will be able to use your USB keyboard with your Xbox One. Tip: Once you get the update, you can press the Xbox button to see the battery indicator on screen in the lower right next to the clock.